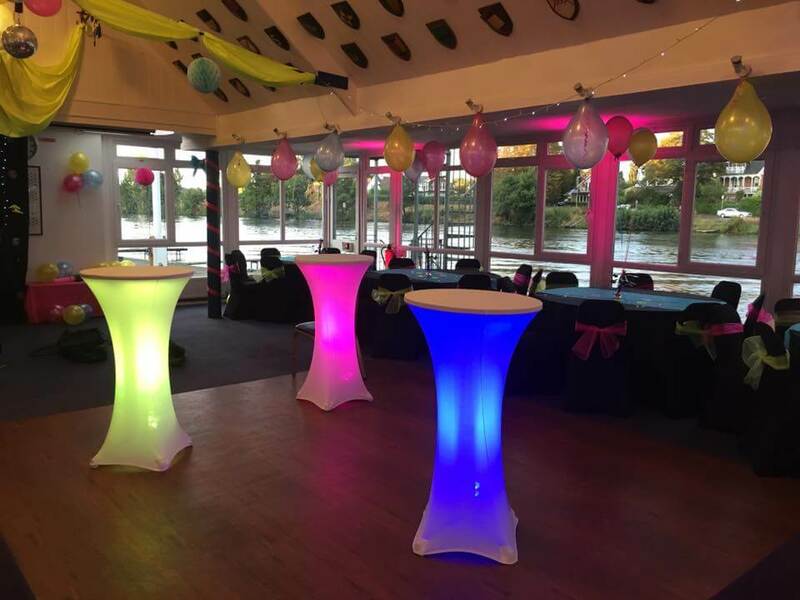 LED poseur tables are an amazing addition to any party, event, wedding, corporate event & many more applications. These can be set to any colour you wish to match a colour theme. We can even make these flash to the beat or have them slowly changing. For a bit extra money we can make these intelligent and connect them to a wireless DMX software to fit into a light show. Our LED poseur tables come with a white spandex cover which looks great on its own. We can even supply table toppers in specific colours as an upgrade. Remote control supplied to be able to change colour of the light.